IceLogo server is the server edition of the iceLogo tool. IceLogo server can be accessed via http://iomics.ugent.be/icelogoserver/. You can also host your own instance if necessary. Download the war file in the download section. Download iceLogo server 0.2 here. Installation instructions can be found on the wiki page. See the manual page for the usage of the application. 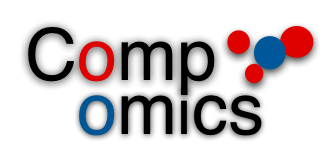 Made by Compomics. Site last generated at 19:45 on 2019-04-19.